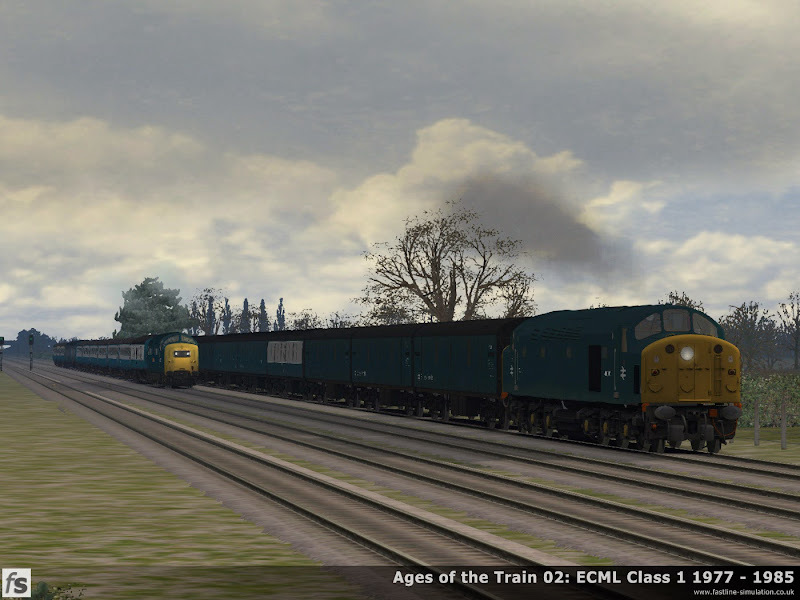 After bringing the Train Simulator world our highly appreciated Ages of the Train 01: ECML Freight 1973 - 1986 we're excited to let you know the details of the sequel. Featuring five scenarios from the classic diesel and electric era and set on the Newcastle to York route Ages of the Train 02 scenario expansion will give Train Simulator 2014 users the chance to take charge of London - Scotland express workings alongside inter regional services. Drawing on a wide range of add-on content available for Train Simulator 2014 from a number of providers, users will have the opportunity to drive famous diesel classes and the iconic HST on top link duties. These scenarios will, as far as is possible, be as realistic as feasible, working the length of time on a service that a driver would have expected to that very day and encountering the kinds of traffic that would have been seen, right down to the actual formation and locomotive number where known.